This is what they call upgrading? They built a hump around the car wash area last week and when I was washing my motorcycle, I've seen 4 people fall down because of the "invisible" hump which is pretty high. 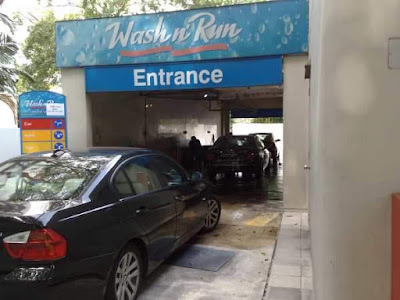 As this was such a hazard, and furthermore, it makes getting in and out of the washing bay very hard for big bikes, I guess they have received a lot of complains, and yesterday, this was built. Why is a hump needed? What purpose does it serve? Why do they keep wasting money on useless constructions to inconvenience people? Wonder if the cost over run again? Probably, this is Singapore way of Minister cannot manage budget, so everyone blow budget. Contractors meanwhile -- HUAT AH! By the way, if you want to prevent the floor from being soapy and wet outside the washing area, build a depression or a drain with an angle for water to flow to the manhole, not a hump. Why bother going to Pasar Malam? Pasar Malam -- A.K.A. Night Market in Singapore used to be a place where you may find good deals. There were several people who have lost their jobs and decided to start a small business to support themselves and their families. As the government imports more low cost foreign labor, more locals are displaced. With the cost of real estate skyrocketing as many use it as an investment vehicle, shop owners and some jobless individuals compete for these limited stalls and as a result, the rents go up really high. As a result, many of these stalls are no longer just "night market" they have to sell all day to pay for rent. Back in the 2000's I've rented a stall to sell some products that I have, and the rental was about $50 a day, to a about $100 for food stalls. Even at $50, I found that I needed to find others to share with me in a stall space as we need more than 1 person just in case we need to go to the bathroom or take meal breaks. Even at $50 per day, if I had 100 items that I sell each day, I need to factor in $0.50 for rent per item. Today, I've spoken to several vendors, and the rents can easily go up to $300 per day. For popular bazzars like Geylang Serai Market last year, one of the stall owners paid more than $2,300 per day! This is shocking as "supply and demand" is used as an excuse for profiteering and driving up prices. Already, doing businesses all day in these hot locations can be pretty challenging. With rents so high, Pasar Malams are not sustainable, and a lot of them are using low cost ingredients to charge a high price to make ends meet. Other stalls will sell "Atas" food for a high price. Nothing is cheap at Pasar Malam anymore, and Singapore indeed has the most expensive night market long the line of the most expensive city / country in the world. I am all for technology and Robots. Automation is great, it increases efficiency and makes life better. 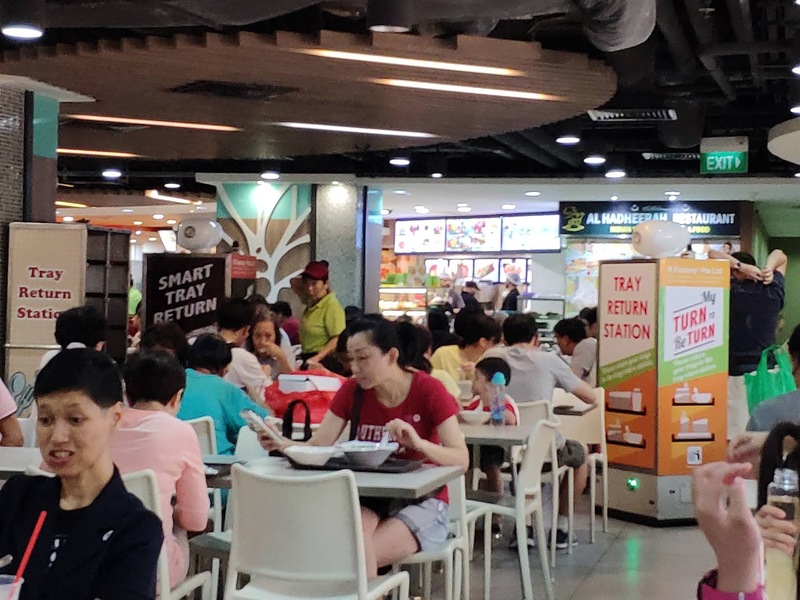 But when it comes to these moving tray return stations which are in several food courts, I initially thought it was a good initiative to get people to return the trays so tables can be open faster thus opening up more tables in foodcourts. However, over the few months of observation, I do not see more Singaporeans returning the trays in these moving tray return stations. One foodcourts in Toa Payoh in the basement of HDB hub has several of these tray return stations moving around, and the situation was much worse than other foodcourts. No one is still returning the trays, and when the cleaners use the robots, it cause the robots to bunch up, and only the first robot was being used and filled up. All the other robots are following behind, but it was hard to get to them as they follow so closely and there is no room to maneuver to return the trays. These robots also create a congestion in the isles, even at 11am and 2pm, they really block the way and preventing people from passing by when there are queues at the counters and robots bunching up and blocking the walkways. The tray return stations occupy the whole lane and it is impossible to pass by them. I could see this as a possible fire hazard, and I've also noticed that handicapped people in wheelchairs have a harder time moving around this foodcourt, and an old lady informed me that wheelchairs are too wide, and the robots cannot pass by when you are in a wheelchair, so her friends do not come here. I have seen technology creating barriers for people, but so far, this is the worst as it does not seem to benefit the business of the foodcourt in any way. But I'm sure the related parties that created these robots and getting the government grants are very happy to get rid of these useless inventions. Mr Tan returned to his apartment in Chinatown and suddenly realized that he could see much better in the dark. He felt different, better and free of pains. He looked around at his apartment and opened his cupboard and checked out his old tools which accompanied him for many years until he lost his job. 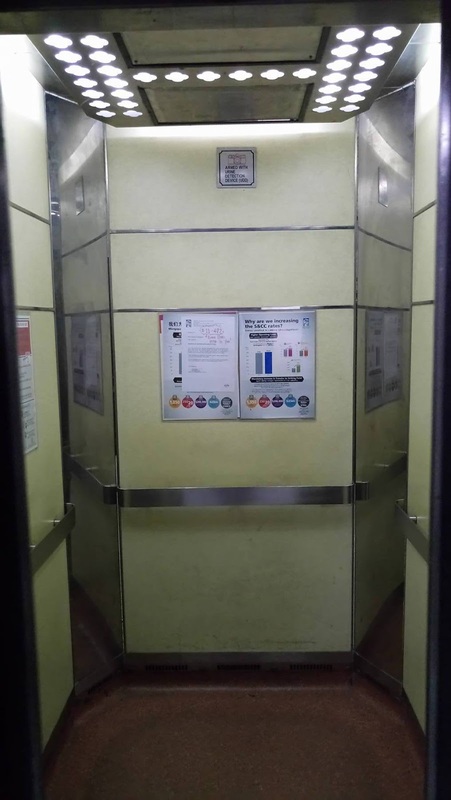 Mr Tan was an elevator repairman since he graduated from polytechnic. He has been working at his job for many years until his vision got worse and he was asked to retire at the age of 55. Even though he fully paid for his apartment, he felt like he never had enough to retire on. His wife who was a housewife had a fall and went to the hospital. As she did not have much savings, Mr Tan exhausted his medisave on her operation and the rest of his savings, but it still did not keep her alive. Mr Tan had bad vision because of his cataract and when he visited the public hospital, he was given an appointment 10 months later, and this got pushed back another year as the doctor felt that the cataract need to get worse before operation. When he went to the public hospital as he felt that he could not hear, the ear examination was also 6 months later. Mr Tan told his friends at the open area under his flat at Smith Street and they told him to stop complaining. "The government is very good. World class facility. We have the best doctors and people all over want to come to Singapore for hospital. Of course good things must wait lah... why you so ungrateful?" But when his time for the appointment came, it was 2 days after his wife passed away and he was busy preparing for the funeral and did not go for the checkup. When he was available again, the doctors scheduled another appointment and it was for another 10 months. When he visited the National Eye Center and inquired about the procedure and costs, the doctors could not tell him about the cost and the website did not have much information. Mr Tan tried to talk to the CPF board about his Medisave and CPF, which he had money inside, but they could not answer whether he could afford the operation. Mr Tan lived frugally. He managed to stretch his $15,000 in his bank account and that was inclusive of his $5,000 from his CPF as he could not afford the minimum sum stated by the government. Mr Tan was a month short of 65 and his savings was running out. With the last amounts spent on the funeral, Mr Tan felt that he could not afford to see a doctor as he spent all his medisave amount for his wife's hospital stay. Mr Tan picked up the photo album and browsed through. 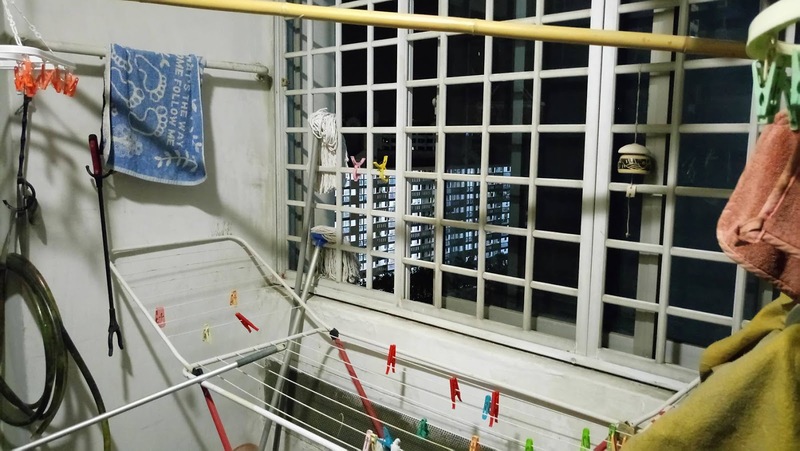 He had a great time with his wife and they could afford a car in the past, but it seemed like their quality of life had gone down as they could afford less, yet their HDB flat in Chinatown seemed to be worth more. He felt rich but could not afford anything. Mr Tan sat on his favorite rattan chair and turned on his fan. Rattle.. rattle.. rattle.... He smiled as this was the sound he was used to as the fan worked for more than 20 years. Mr Tan went to the kitchen and saw his wife. "What are you doing here?" Mr Tan asked. "It is time to go." His wife said. "Go where?" Mr Tan asked. "To move on." His wife said and stretched out her hand. "I felt much better now." Mr Tan said. "Everybody does." His wife smiled and held his hand. Mr Tan looked at the letters on the kitchen counter and the calendar. "20 more days before I can collect my CPF." 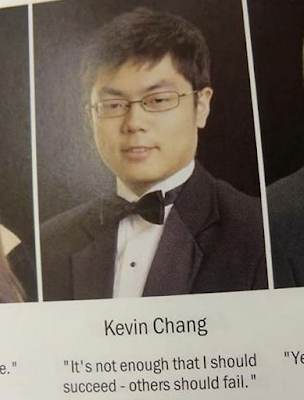 Mr Tan muttered. "6 more months before my cataract operation and 2 more months before my ear examination." "You don't need it now." His wife said. "How did I die?" Mr Tan asked. "You did not go to the clinic after my funeral and collect your medicine." His wife said. "You needed the blood thinners as you have high blood pressure." "But I think I exhausted all my Medisave and the medicine was $900 for 3 months, even with the pioneer generation card." Mr Tan said. "I can't afford it." "Then perhaps it is better this way." His wife said. "I guess you are right." Mr Tan said. "I have so many things in Singapore I have not seen. The Gardens by the Bay, Marina Bay Sands, Formula 1 night race... Seem like very popular events that I would like to go one day, but could never justify the cost." "This is life in Singapore." His wife said. "You work hard to buy a HDB, and work hard to pay it off. Then it is time to go." Mr Tan held her hand and put his arms over her shoulders. "I miss you so much." Mr Tan said and opened the front door and unlocked the gates. There was a bright light in front of them and his wife smiled and nodded at him as he was staring into the light. "There is nothing to be afraid of. This is the end and everyone has to go through this." There was a sense of calmness that went though Mr Tan as a gentle breeze blew towards him. There was a smile on his face and all his constant worries about bills and how to get by went away as he walked into the final light. Singapore is a contradicting country. 2) expect the people's to have bigger family yet builds the houses which are so small. 3) promotes people to spend more time with family yet giving low pay and expects people to work OT to survive. 4) always teaching people to stay stress-free yet push the standard of living till so high making every stressful. 5) wanting us to get married and have own family yet housing is so expensive and not enough to accommodate to all newly weds. 6) such a small piece of land yet still want to increase population when there is not enough houses for own people. 7) promotes security and avoid scams yet scam own people of their money by asking them to pay tax on their payable taxes. 8) supports driverless cars, but now driverless trains have drivers to improve efficiency. 9) promotes housing / CPF as a form of investment, but in reality, HDB flats have 0 value once the lease runs out. Seriously why do we have to pay so much just to have a roof above our head in the country where we are given birth to? It's not like we have the chance to choose where we want to be born. How to expect your own people to be happy when the government itself is so contradicting? A country with High GDP, rich people owning fancy cars, but almost 1/4 of the Singaporeans living in poverty. Singapore is run like a business and although there are many things good about Singapore, bloggers pointing out the negative things can be sued or imprisoned. Some who share posts on Facebook got into trouble as well. In our shared experiences, all of us have experienced the absurdness of bureaucracy. There is no doubt that processes are important, and bureaucracy is required to manage a large body of employees, however, forward thinking businesses have already changed their organizational behavior and adopted flatter models to promote innovation and manage change. With advancements of technology, many people expect speed and good user experience; however, even when large organizations that still run on layers of bureaucracy implement the use of new technologies, the implementation is usually far from ideal. Users can continually give feedback, but change never seems to adapt fast enough to user needs. One of the main reasons is due to broken communications. Many people feel that poor communications in large organizations is unavoidable. They blame it on corporate culture. Many people think that poor communications is a mere inconvenience when they experience the bureaucracy, however, there could be a big waste of resources and other more disastrous consequences. In 2017, a package of 105 botanical specimens of Australian plants owned by the Jardin des Plantes – and gathered by a French botanist more than 200 years earlier – had been destroyed by the Australian biosecurity officers at the Department of Agriculture. The specimens were both priceless and irreplaceable, two or three of the specimens might have been species that were unidentified and new to science. While Australian communicated with template bureaucratic statements of regret, it's hard to get information on the chain of events that led to the destruction to learn from the disaster. Sometimes when shipments are sent without the proper paperwork due to mistakes, when they don’t let it into the country, they just ship it back to the person who sent it. However, it was Australia, with its infamously bureaucratic customs regulations that managed to destroy such significant artefacts more than once. Today, there is a ban that includes not only botanical specimens, but those from across the museum's vast holdings in areas such as mineralogy, geology, palaeontology and comparative anatomy. Several other museums and organizations also ban sending specimens to Australia. In many absurd cases which occur, few problems surface to the top and the lessons are never learnt. Even when the problem is common, upper management may not even be aware of its existence. The following are collected stories of dysfunctional organizations and poor communications in which fictional characters are used to describe the encounter to entertain and educate. Mr De Sina, is a well-known architect who designed many iconic buildings. As he was submitting new designs for a few projects, he realized that some of the guidelines have changed, due to the new head at Building Control. There are a few projects he had started and he took on several smaller projects, altogether a total of 15 projects to be submitted within a 3 month period. As he was working on the first project to submit, he realized that it was not possible to comply to the guidelines. According to the Code of Practice on Buildability by Building Control Authority, for precast staircase of the power substation, the riser height is 150mm or 175mm & tread width of 275mm or 300mm. However, according to the Fire Safety Bureau, the staircase must be 5m high. According to both the guidelines, it is impossible to fulfil both requests. 150mm or 175mm riser height can never add up to 5m in height. So Mr De Sina decided to visit the departments to share with them the rule he had to comply, that was conflicting with the other government department. When he approached the Fire Safety Bureau, they informed him that the safety guidelines cannot be negotiated. When he approached Building Control Authority, they informed him that the staircase riser height is to prevent errand contractors to build substandard stairs which will pose a danger to the users. According a Minister, the government often seeks to innovate and make life easier for the public. That was why a Municipal Services Office was set up to have a central place to report incidents. Mr De Sina decided to meet the Minister to inform him about the 15 waivers on 15 projects he needed to apply and pay for. The Minister wrote letters to the departments for Mr De Siva. The next day, Mr De Siva received phone calls from a director in the Building Control Authority. There was a long chat however, the director still persisted that the processes still needed to be followed, and 15 waivers needed to be applied for the 15 projects. In the afternoon, the Fire Safety Bureau also called to inform him the same thing. Mr De Siva was disappointed and could not even apply the 15 waivers at once, and had to do so, one by one, and paid for 15 waivers, and had to have 15 separate meetings to review the waivers to get them approved. He encountered no resistance to reject his waiver, and everything had to go by the book. It seems that the President is endorsing Milo, and it is true. Because there is a new version in Singapore that does not add sugar. Like before, Singapore Health Promotion board have given companies that pay it a "Healthier Choice" logo. 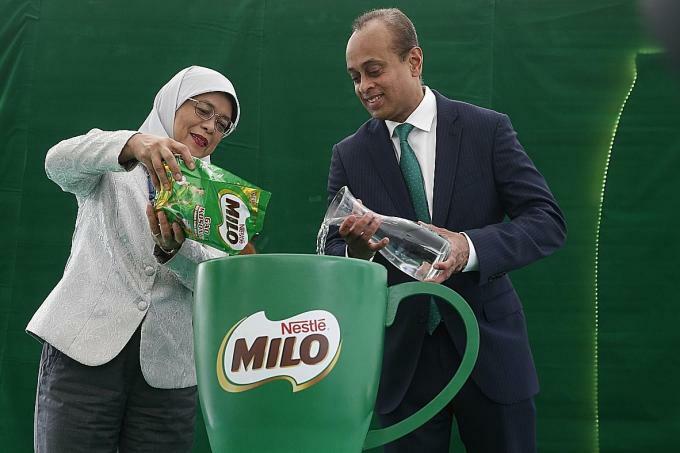 Milo is delicious, but is nowhere healthy. Even without added sugar, it contains sugar from the Malt and Milk. Its like going to a Coffee Shop and order Milo, and they add Milo and Condensed milk. No added sugar, but is still diabetes causing(ly) sweet. It seems like PAP politicians like to act like celebrities endorsing products. Sadly, Milo, owned by Nestle, a Swiss company which collects millions of gallons a year from springs and selling water is already causing controversy in California, promoting some sugary drink as "healthy" because there is "no sugar added" is simply irresponsible. For years now, Ministers have been endorsing companies which have not much merits, but the fact that they are willing to pay for an award given by a ministers at an event. It is often seen that drinks like Naked Juice that use statements like “no sugar added” and “only the best ingredients” lead customers to believe that the juice is healthier than it really is — one of its drinks has more sugar than a can of Pepsi. I have no doubt that Milo in the new current form is no where healthy, so don't start allowing your kids to drink this at a young age. If this applies to juice, I would say it would apply to Milo. Here are my predictions after the Malaysia General Elections. I am sure some of the people in parliament start to feel a chill down their spine... Perhaps it is the aircon set at 20 degrees and they have a breeze blowing on their necks. Well, I expect some changes to happen especially when their tone is completely changed before and after elections. 1) Expect more goodies - GST Angpow, Senior Citizen Packages and what not. Be clear that in 2019 and 2020, there will be more money given out to buy votes trust. 2) 9% GST will be open for "discussion". The stance before the Malaysia election was that 9% is critical for growth, and test balloons were floated. When the opposition won in Malaysia, and the GST is getting abolished, the government would definitely reconsider their hard stance, may even delay it further until they win the next election. 3) When they placed a 100% tax on Motorcycles above $10k, no one took any action. The poor and marginalized are used to getting stepped on. And most of them don't know the effect on them, and did not want to think. Then NEA gave a BS reason and banned bikes registered before July 2003. And when many of the motorcyclists who cannot afford new bikes found that their motorcycle are getting banned, there was much unhappiness. And a few groups sent petitions and wrote in to the papers to show displeasure. I feel that banning the motorcycles by year is an unjust move, and motorcycles were already subjected to yearly vehicle tests, and with the current COE system, polluting vehicles and poorly maintained vehicles would not be on the roads anyway. Thus, I feel that this motorcycle ban will be lifted by next year. The carpark charges for teachers is very unjust and stupid. Teachers put in extra effort and work late without claiming overtime, and they are charged parking. I expect some form of equitable sum to be paid to the teachers who drive and this may not be obvious to others as the government never admits mistakes or immoral decisions but to buy back the votes from teachers, there will be some agreements made. As always, I don't expect the government to take any accountability for their decisions and actions, and would not backtrack because they are wrong, but because they are unpopular, I expect that some other reasons or made-up word be used to reverse decisions to make them look good. From the perspective of a Singaporean in Singapore, being a gracious host to a peace event is something that we can be proud of. But what exactly happened? In the past few days, there was more Google search for the country Singapore. This is a good thing as no doubt, many Americans will now know that Singapore is not part of China. Educating Americans about the location of Singapore is rather hard and tricky. 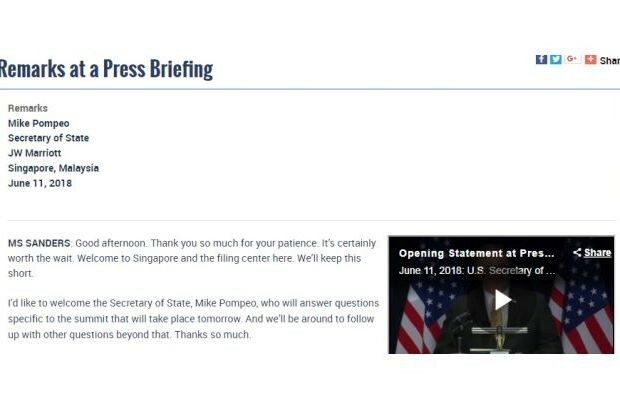 And even after spending the $20M, the US State department thinks that Singapore is part of Malaysia... This may be true say... 53 years ago. The traffic during the event is horrible. When Kim Jong Un arrived, the traffic simply stopped. There was a lot of construction at Paya Lebar and not much communications, so when the traffic just stopped for security, it was utter chaos. It took me 1 hour to get from Paya Lebar to Toa Payoh on a motorcycle, a trip that would take 20 minutes during peak hour. During the meeting on June 12, River Valley Road and Zion Road area was again blocked. Along with the road works in the area and lack of communications, everything did not move. It took me 1.5 hours to get out of the area as nothing moved. Nope, not even alternative routes worked. 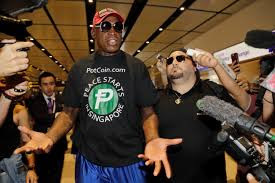 How can you not have Trump-Kim meeting with Dennis Rodman? The 5 time NBA champion is the master negotiator and there will be no agreement without him. He is probably the best defensive player there is, and yes, he is here in Singapore preventing a nuclear war! 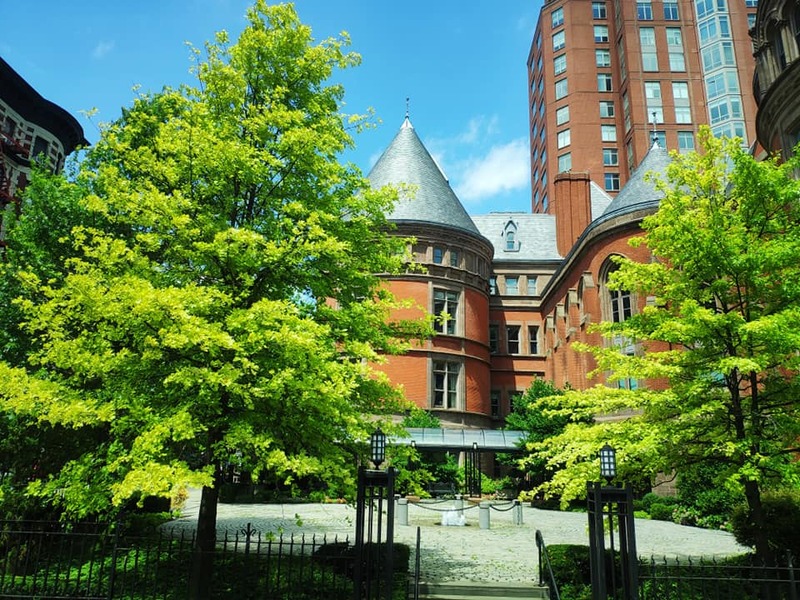 These hotels are the real big winners. They have a global audience for their brand. With the presidents staying there, they can add another list of celebrity staying in the hotel. 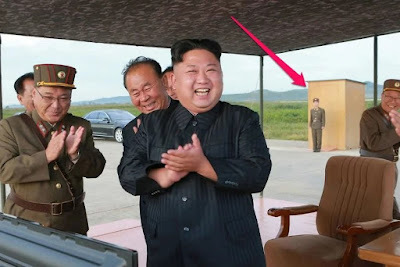 So, Trump did not do the pull and squeeze on Kim Jong Un. The handshake was rather civil and the meeting seemed to be going on smoothly. Trump was rather "presidential" in his demeanor. 1) The US and South Korea embargo on North Korea is still on. Nothing changed. 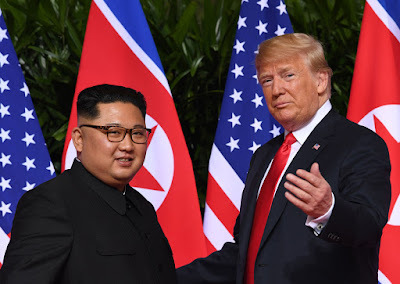 2) There is an agreement on paper that North Korea is starting the denuclearization process. It is the beginning of a trilateral negotiation involving US, South Korea and North Korea, to create a durable system of denuclearization and economic exchange. 3) Liberal media is still mocking Trump. 5) Kim Jong Un gains legitimacy and prestige as part of the negotiation. 6) Trump gains the ability to brag that he has finally done something -- a start of a road to denuclearization of North Korea. 7) Singapore seemed right at home with the dictators, as freedom of expression is also highly curbed in Singapore. Human rights also pretty limited. In short, the Trump-Kim meeting is to draft a Letter of Intent. With nothing gained by Kim Jong Un (Embargo is still on) and not much restrictions on nuclear weapons to start. There may be some agreement of releasing prisoners of war which may or may not happen. 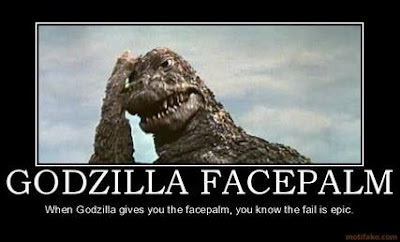 So as a whole, the S$20M is spent to draft out an agreement. Thank you Singapore for sponsoring such an International event. Like the Youth Olympics games, it has shown time and again that Singapore can be placed on the spotlight on international media when it decides to spend the money. If vehicles are to be banned for pollution, shouldn't all vehicles be tested and those who fail emissions standard banned? Since around July 2015, the motorcycle COE prices has been around $6,000, as a result, many poorly maintained motorcycle would be scrapped and off the roads after 10 years. Many of the smaller bikes with high mileage would be scrapped off due to the high COE. Owners knowing that they will scrap their motorcycles as they will not renew may spend money on maintenance on their motorcycle as they know it will be scrapped, which can result in more pollution. I own a BMW 1999 K1200LT is a fuel injection motorcycle which gets me 20km/l and it has a closed-loop 3-way catalytic converter, compliant with EU3 emission standard, which I meticulously maintain as I occasionally travel to Malaysia and need to make sure it is road worthy. Even though the motorcycle is almost 20 years old, it runs like new and it has less than 60,000 km on it. I usually ride it on nights and weekends. Like me, there are many big bike owners use their bikes for touring and most of them have relatively low mileage on them. The owners would own other vehicles or take the bus for daily transportation needs. How can we be considered to pollute if we don’t use it much? The incentive seems to benefit people for something which they are already doing -- not renewing their COE, and for the underused well maintained motorcycles, the ban is a death sentence for our beloved underused motorcycles. I feel that motorcyclists are targeted with this measure, and yet 15 year or older vehicles are exempted. Even when my seldom used fuel injected motorcycle pollute less, it is subjected to a ban while some od vehicles are allowed to be on the roads every day. I don't understand why a blanket ban by NEA is needed, when clearly LTA does inspections on the motorcycles yearly to ensure we do not pollute, and if any vehicles, that cannot meet the standards, should they all be banned if NEA truly wants to control pollution and not just target motorcyclists? If the vehicles are to be banned, shouldn't it be done by LTA. The arbitrary ban a specific group of vehicles because of the age of the vehicle seems rather discriminatory, just like the recent tax hike on motorcycles which did not reduce COE prices, and just cause motorcycle prices to increase, while luxury car drivers who own supercars are not affected. My 1999 K1200LT is compliant with EU3 Emissions Standard. Pokemon Go, a kids game is played by many old people in Singapore. Like many things in Singapore, you get lots of players who seem to be playing the game to "WIN" whatever that is. There are also many tips and tricks that everyone use. Granted that there are some professional players who have lost their jobs and now carry multiple phones to catch Pokemons and sell their accounts, however, many of the players are simply too competitive, and they will constantly bring down gyms and hog them. There are the usual suspects. Getting into multiple gyms with their multiple accounts, then defending them past 8 hours till no end. Leaving many others no chance to put their pokemons in the gyms. There are also many other players who hack their GPS on their phones just to "fly" around to get Pokemons. That does not really bother me that much, but when you fight down a gym, these people come and fill up the gyms with their pokemons quickly. 1) Please be gracious. If you are in a 2 gyms, and have stayed for more than 4 hours in each, please allow others to come in. 2) "Shaving" -- This is ridiculuous. When I have taken over a gym, spending time and hardwork to defeat a gym, I don't think anyone should come and "Shave" me off, minutes after I've put my pokemon inside. However, this is very common in neighbourhood areas in Singapore. Many aunties and uncles have multiple accounts and will shave you before you off can even a single coin in the gym. They will use their kids account from the other teams, and take out the first pokemon, then insert their own. 3) "Flying in to insert yourself into a gym." Yes, I know you spoof your GPS and can fly to anywhere to catch a pokemon, however, it is ridiculous that in the middle of MacRitchie Reservoir, someone can come and fill up a gym within seconds after the gym has been defeated. Most of the time, "No one is there" just a fly by to drop some pokemons. "REALLY REALLY ANNOYING" Please, if there are people who win the gym in some remote area, please give them a minute before the "airforce" slot in. I've had the app hang, and not able to put in anyone on several occasions. There are many legit ways of playing the game, simply make friends, walk and enjoy the game. Don't spoil the fun for others with your unsocial behavior. Its just a game. Some religious followers are impatient and have are not civic minded. 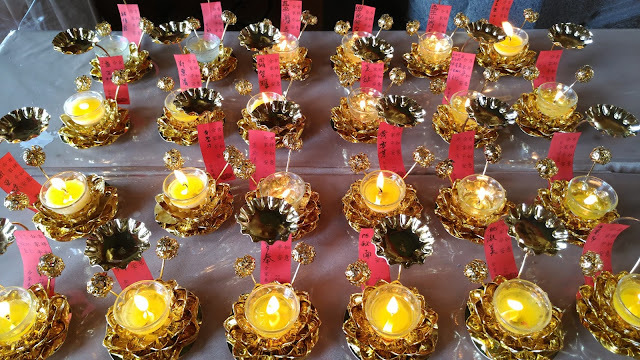 It is a New Years Tradition to go to the temple during Chinese New Year, and as I live relatively close to one, I could walk to the temple with my mom and she can go there and pray. 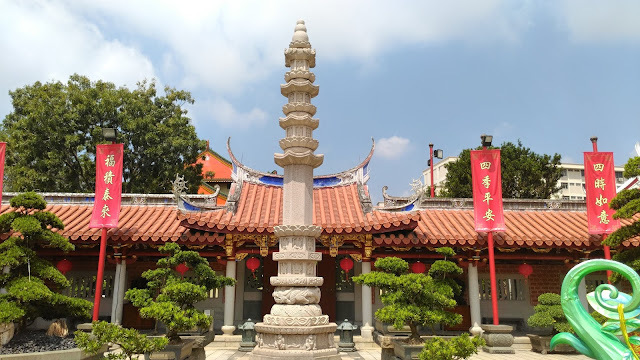 The temple is usually crowded and it is never a surprise that during weekends and holidays, many people in this densely populated country lose their civility. 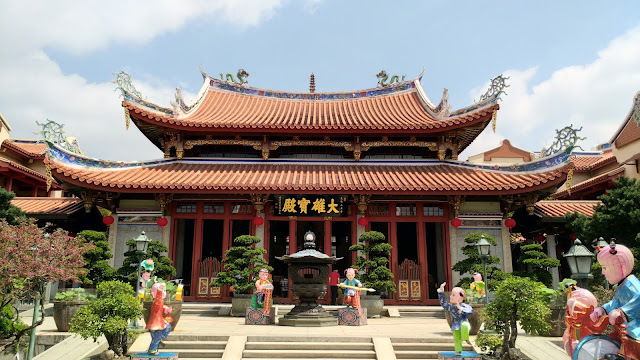 While the temple and part of its grounds are tranquil and nice, where there is a crowd, there is always chaos. I've witnessed today that everyone seems to want to drive directly to the temple with limited parking space, and everyone is impatient. 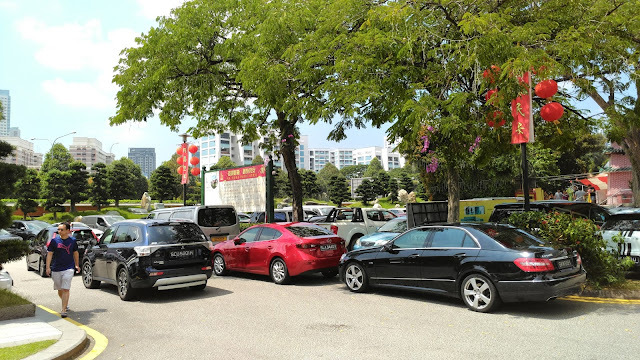 When older passengers are getting out of their cars slowly, the driver seemed to want to park in a position where they block as many other cars as possible, and the car behind could not seem to wait a minute for the senior passenger to get out, and horns start blaring. In the temple, some of the religious people seem to have a large amount of incense, and light it on fire and walking around the large crowd creating a huge cloud of smoke behind them. (The usual amount is about 15 sticks of incense, one for each urn) I've witnessed several people with more than 50 sticks and some even with 100 sticks of incense. Like the 7th month. Burning more incense does not make your wishes come true more! When you burn more paper, it does not give you "BETTER LUCK" Please, there is a reasonable amount and many of you are OVERDOING IT! Sadly, when there are crowds, there is also a lot of impatience and shoving. 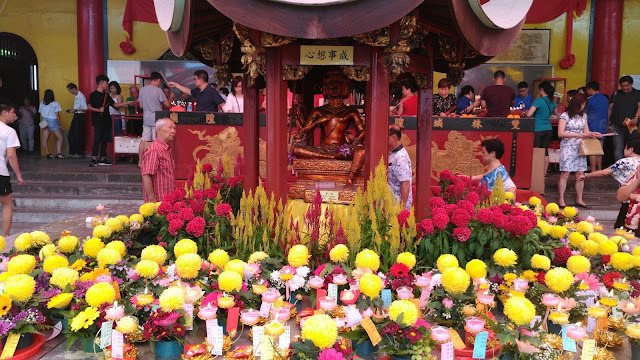 Its worse with children, elderly in an overcrowded temple with people carrying incense. Trust me, getting burnt with an incense is not fun. I took a bus to the bus interchange and it was surprising to see more beggars out in Toa Payoh HDB Hub, more than usual, and I heard some of the people I've met in the temple say that many of these beggars were FAKE, and they own a 5 room flat, rented out and is begging for more money during the new year and can earn more than $100 a day. And I saw more people selling tissue paper again, and the going rate during Chinese New Year is 3 for $2, instead of 3 for $1. When I go to the coffee shops, the price of Ice Milo is $2, from $1.50... Yup, Chinese New Year Surcharge. It is sad as it is also unclear that any of these surcharge actually benefit the employees and not the bosses. Yup, and I've seen many people parking and leaving their vehicles causing jams outside temples. 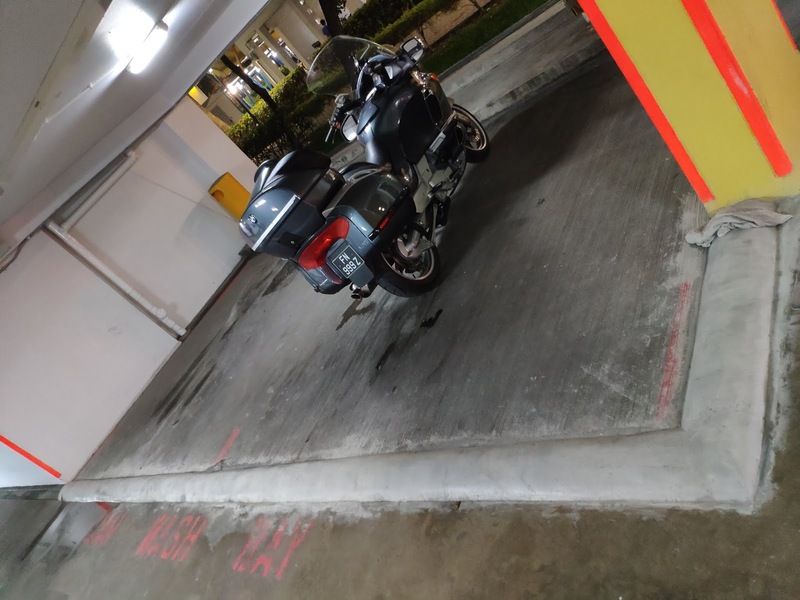 This is a common occurrence near the churches by my HDB flat in Toa Payoh as well, as many of them seem to park at handicapped lots, with no handicapped person, but some of the vehicles have the handicapped tags. Morally handicapped perhaps? Please be civil, keep your cool and have a Happy Chinese New Year! Smart Nation Cheap Labor Low Productivity. I was talking to a friend about his situation and went to a job fair in Toa Payoh with him. He is in his 40's and had been laid off from work 4 times, each time taking longer to find a job. He is an engineering graduate from NTU and worked for several MNCs which have ceased production in Singapore and was retrenched. In between jobs, he drove a Taxi, taught tuition and even had various part time jobs to do stock taking. He has not worked full time for almost 2 years and when we went to the job fair, it seems like all the jobs offered were blue collared jobs, like cooks, security guards and other hotel staff. It was quite disappointing, but speaking to some e2i people at the fair, they said that there are different fairs for different people, and this particular fair is for the unemployed uncles and aunties to join restaurants. I talked to him about his situation and how his job application online is progressing. It seemed particularly bad as many new jobs seemed to be interested in younger people. When you are above 40 years old, jobs like "social media manager" which seemed to be quote common, never responded to him. It seems like the job market is rather tough in Singapore. SMU, a university that boasts high paying jobs after graduation has uber driver graduates. I still believe that there are a lot of cheap labor and displaced people in Singapore. There are a lot of talks about productivity, but I feel things are getting worse. With all the PIC grants the government has dished out, how much productivity and use of tech is increased? When I see the ALL OF THE old automatic car wash at gas stations become "MANUAL" car wash with the use of plentiful Indian workers, it saddens me that we seemed to have gone backwards. I've owned a construction company before and done some property development, and when I sub-con out some work to BIG construction companies, I seldom see mechanical tools. Most of the time to demolish a building, hordes of Chinese workers will wield sledge hammers and smash the walls. To remove tiles, they will just smash everything. It is fascinating to see the use of diesel powered generators for events in town. Even at Marina Bay, Orchard Road, most outdoor events are still powered by diesel when solar systems with Lithium batteries are much more portable and "fumes free"
For logistics, delivery and transportation, most of the work is done with one staff -- the driver who is also the delivery guy, and without much trolley or other tools to help him move the goods. 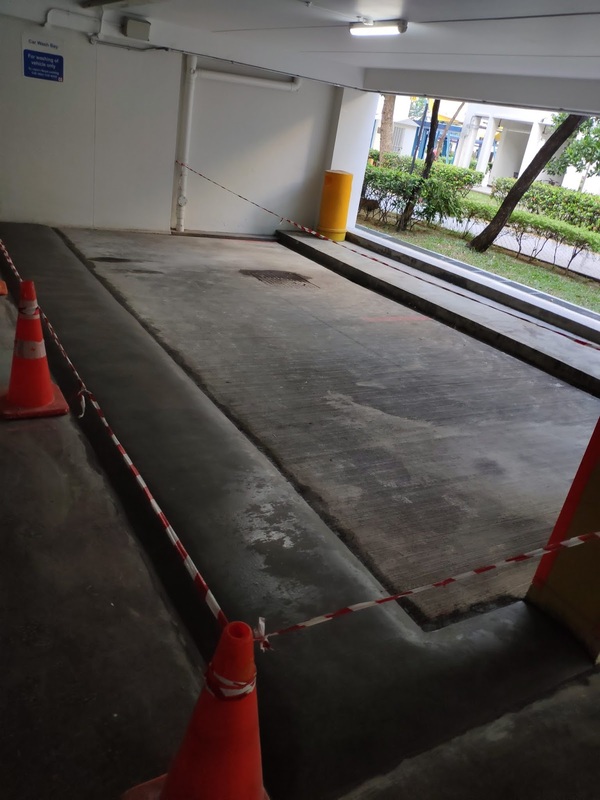 The loading and unloading bays are usually poorly designed, (because they did not spend $880k like the rubbish chute the government built) and the vans and trucks will jam up the area or the roads near by. Otherwise, they would also have to pay expensive parking to park far away and carry the heavy goods over a long distance. With the current party still in power, it seems that their push to support more MNCs instead of growing local SMEs will continue and the situation will only worsen. I guess I must send thoughts and prayers and hope that one day, Singaporeans will vote for their benefits and not for the few that rule over them. The stereotypical obnoxious American Tourist is clearly visible in this video. Where usually a white obnoxious tourist goes to another country to disrespect their culture, religion and people. Travelers are ambassadors to their country whether they like it or not. Sadly through poor parenting, the rich kids / young adults who can afford to travel are creating a negative brand for their countries. In Asia, Chinese Tourists are among the worse ambassadors for China. Many believe that since they are rich, they can do anything. I feel this is like "White Privilege." When your race (caste, clan or whatever) control the government, you are rich, and laws in your country applies differently to you. People can be as obnoxious as they want and escape consequences. Sadly, when they go overseas, they expect the same treatment. This is one of the reasons why many people hate the Americans, and how the China brand with Confucius and all that filial piety is making a whole world hate them when they visit. Now Antartica, China has come to visit. Train breakdown everyday. Yet fares increase and no one from upper management or the government seems to want to take responsibility. 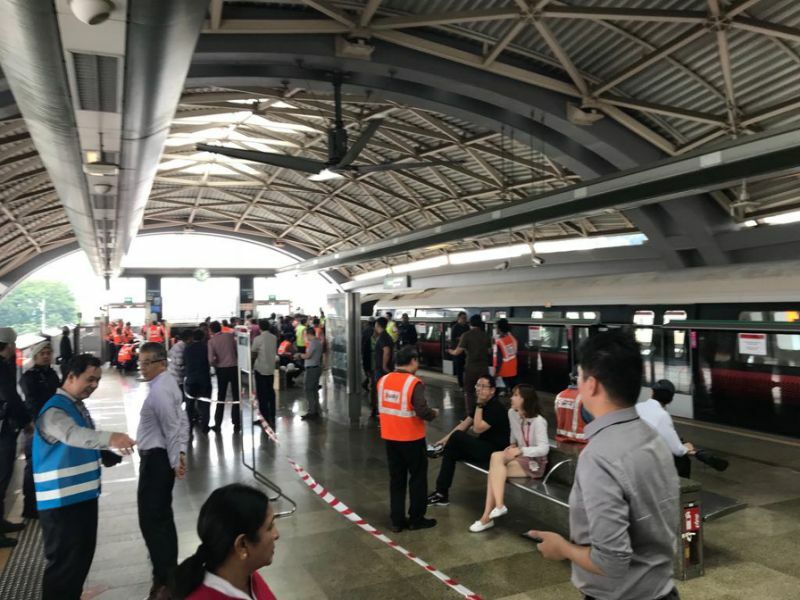 LHL call for cashless smart nation, and when the FINTECH Festival is going on, the MRT Train crashes. There were many delays today, and SMRT had very poor communications on what happened, still trying to plan how to cover up and push blame? At least 3 train breakdowns, and not much of a squeak from them besides. "Train made contact..." Ya, with 26+ injured, some with fractures and dislocations? Lets wait for cashless smart nation, and by then, the new president may speak up or something. In many monuments and statues around the world, tourists come and take photos. It may seem harmless but in various cultures, it is actually disrespectful. A simple case of wall street. 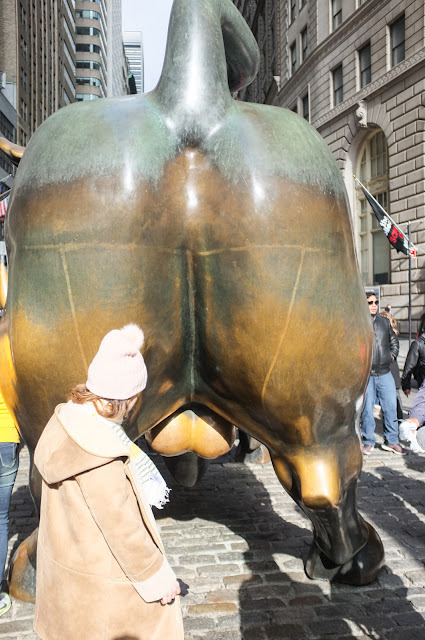 I don't understand why everyone now wants to take photos of the bull by the balls. 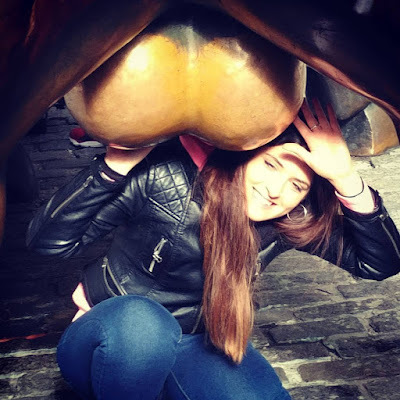 Many others will grab the bull by its horns. 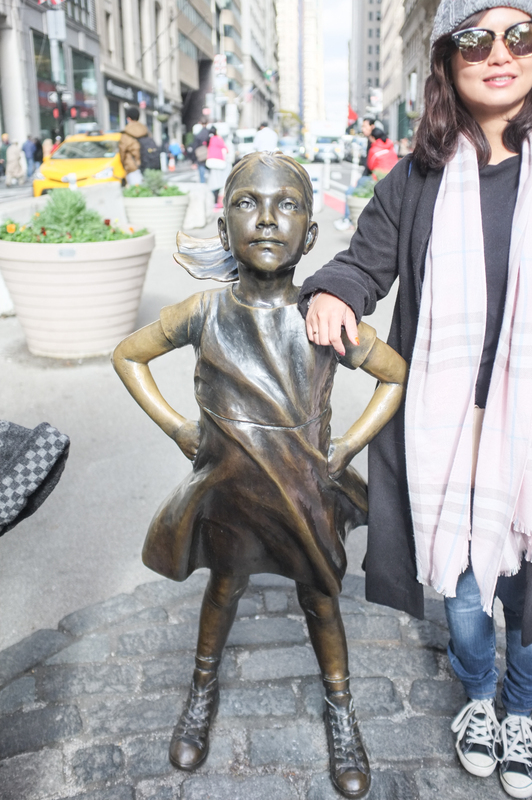 What's worse is the disrespect to the "brave girl." I've seen guys grinding on her head, others rubbing their groins on her face. Well if they take a photo of themselves doing it, it would probably look like they are into pedophilia. Anyway, tourists are weird. Going to NYC is not cheap, and you can clearly see, money does not buy class. Well, at least there is no public defecation there. In the past, visionary leader have built up a good livable city, leveraging on Singapore's position and human capital. There is much progress and most citizens have gained much from the progress. Healthcare was good, housing was affordable, and public transportation was reliable. It is clear that since 2000s, the leadership in Singapore is deteriorating. The visionary selfless leaders who cannot plan for successors have appointed loyal obedient "yes-men" to be the next generation of leaders. Under the undemocratic GRC-system. Many of these "yes-men" were brought into parliament to follow status quo. Instead of looking at future and plan accordingly, the policies and culture favored the "safe" approach, which is to simply carry on what they think is successful. Rules built on rules, law built on laws, Singapore found itself in a situation where everyone had to conform and innovation was almost impossible. The creatives -- artists, writers and inventors were a minority as the country does not seem to support the arts if the arts does not conform to the written government narrative. The same way which promoted growth in Singapore in the past -- attracting MNCs, continuing to build housing and invest in real estate companies made a few rich and connected Singaporeans richer. The continued import of low cost labor means there is very little need for technological solution to solve current problems. Status quo also means destroying historical landmarks and buildings to build more malls. 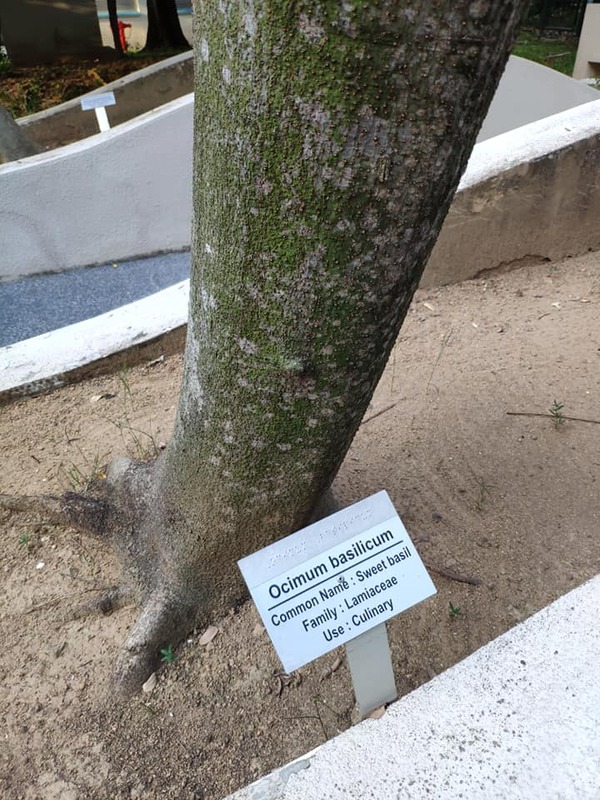 Nature will always be secondary, and even Bukit Brown Cemetary -- a historical area which rests a lot of the benefactors of early -- Singapore is not spared. Our mangroves and forests are cut down and beaches reclaimed. 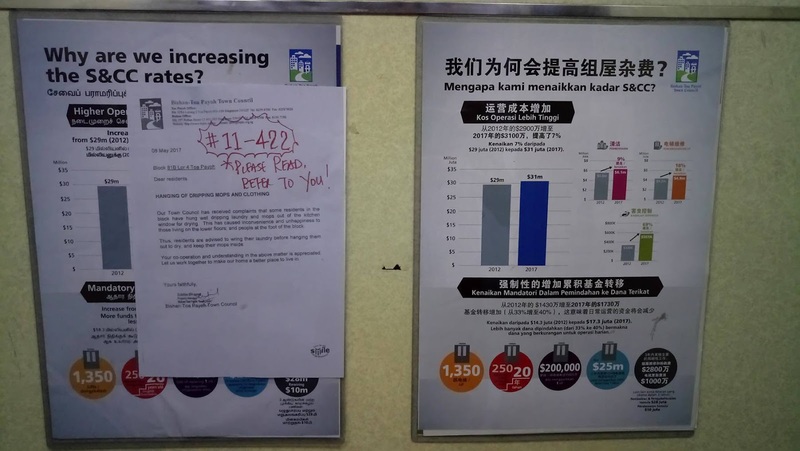 There insatiable thirst for expensive infrastructure projects continued with more HDB flats and malls built and despite the low fertility rate. Tengah is a secondary forest patch that connects the Western catchment area to the Central catchment. The plans for a new town means that the corridor connecting Western catchment and Central catchment will now be disconnected. Habitat fragmentation negatively impacts the biodiversity. Our last few sanctuaries will no longer remain for our children to see. It is sad to see the government's interest for continued economic growth. And the solution for the growth is for more immigrants and cheap labor, which will require more homes. Public housing, on a 99 year lease is never real ownership and most Singaporeans still believe that their CPF funds thrown into overpriced public housing which on a 99 year leasehold can be an asset. Most will find that after paying for their overpriced public housing, overpriced car, everything else is expensive because there are a lot of rich speculators fueling the rentier economy. Many of these people do not need to work and add value, but demand high returns making rents high and driving up costs. With the progress of technology and the Internet, the automation of processes, very soon, low cost workers will not be needed. With the advancements of online shopping and logistics, regular shopping at malls will not be required. With all these changes which are already certain in many advanced countries, why are primary rain forests and historical sites still getting destroyed? Are there people profiting from these activities? MRT breaking down is also getting common, and it seems like SMRT, a private company with record profits almost every year, pays its chairman -- millions, yet no accountability has been seen from the top leadership at SMRT, LTA or Singapore government for the lapse to fulfill the basic duty of doing maintenance, however when it comes to collect bonuses, every cent saved by no doing maintenance goes into their bonuses and shareholder's dividends. Sadly, even with the domestic problems of the Prime Minister where he was called out by his siblings, his refusal to sue them in court just shows his guilt in the accusations. Yet he is fast to sue bloggers and others not related to him, showing even more double standards. 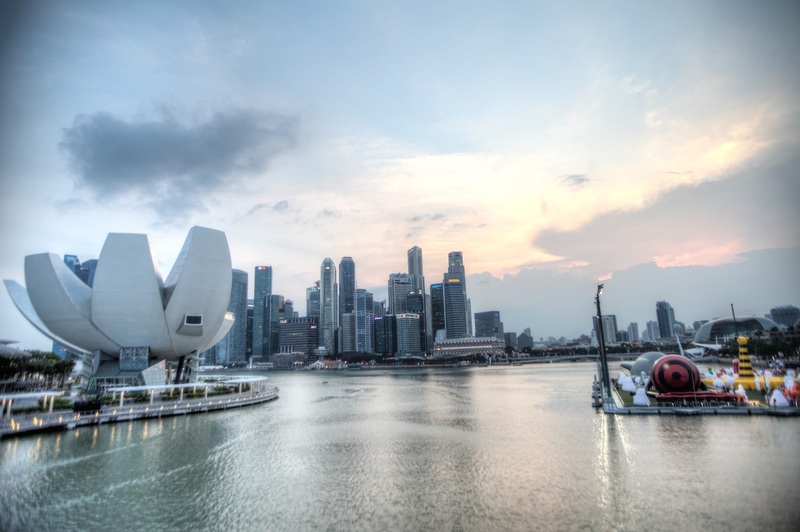 Singapore is on a downward spiral with many irreversible changes. Once the forest is cut down, the biodiversity will be lost -- forever. Tan Cheng Blocked is a good masterball player. Although he may not be good in defense or at shooting, what makes him standout is his ball handling skills. Being drafted into the strongest team OWNED BY the league owners, Cheng Blocked played well and had a great career. After retiring for a few years, Cheng Blocked started playing in the eliteball league, however, this time he found that he was not the player supported by the league owners and the game was much harder to play. When he got elbowed, shoved or even grabbed, the referee which would usually call foul during the masterball game seemed to ignore these infractions. Being an independent with friends who know the league owners has its advantages, and soon, Cheng Blocked was doing very well and had a great game. Skills which he previously did not need were honed, and Cheng Blocked could shoot and defend as well. Many of the rules of the game was changed, and Cheng Blocked luckily still had the credentials to continue to play despite the court and the goalpost shifts. There were several other players who were pretty good as well. The finals came. Cheng Blocked was in good form. He drove hard and managed to play very well, but in the last moment, he shoots and was blocked by the star player from the league owners. Cheng Blocked felt that he was fouled, but being not the appointed candidate, he gathered himself and decided to try again next time. Before the season rolled around again, Cheng Blocked trained hard and focused more on his skills which he needed to develop. Cheng Blocked was very determined and trained with members from the other teams to practice. However, the league owners decided that Cheng Blocked may in fact win this time and they changed the rules of the league. Cheng Blocked had a hard foul, the fans were outraged with bad calls by the referee. Cheng Blocked challenged the referee and requested a video review, however, the owners of the league changed the rules again. This leaves Tan Cheng Blocked no choice. It is their game, in their league, where they write and change their rules. After the game, the rules have changed again, and now Cheng Blocked cannot play because the owners made a new rule which says so. "Let others have a chance." Isn't the Eliteball World Cup open to get the best players? Why exclude some players? How would this be a World Cup then? The fans have questions but it seemed that the owners of the league does not care. The fans complained, "Why not let the best player in the league play. He almost won last season, and worked hard to be the best..." however the owners of the league decided to limit the players for a "better experience"
"Who are you to decide on what is the best experience?" A fan asked. "We created the game, and we know what is best for you." The owners replied. To spruce up the game, the owners changed the whole pitch. They wanted to get a contractor for the job, to appease the shareholders, one of the staff members working for the owners quit, so that she can take the contract. She does not have any experience in renovations but still she was the preferred contractor. But to try to look above board, the owners looked for 2 other contractors to give quotes and as expected, a few weeks later when the contract is given out, the other contractors with years of experience did not qualify because of some new rules set, allowing her to win the contract. When people organize and plan to block the PAP's candidate making PAP lose a speaker of the house for nothing. Singapore government creates a Walkover. And the worse thing is: THERE IS NO HOLIDAY!!! I've seen this sign several times in Jaffna. I am a big fan of ice cream, but in Jaffna, there is a local brand that has some form of cult following -- Rio Ice Cream. Rio is one of the sweetest ice cream I've tasted. I've tried it several times now and I can't finish it... even in the hot muggy weather of Sri Lanka, Rio ice cream is too sweet for me. When you visit any Rio Ice Cream shops, it is usually packed with people. 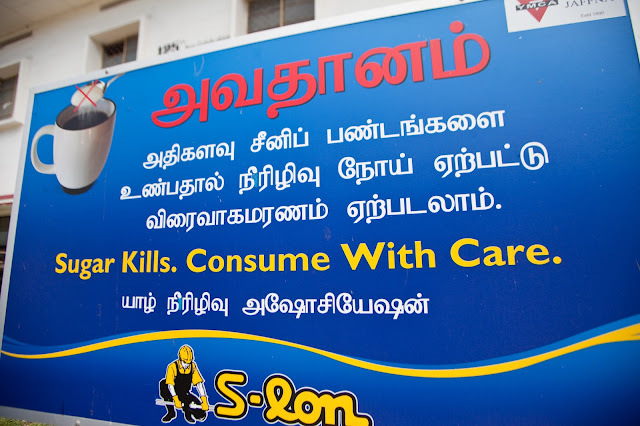 So if Sugar kills, I would say many people in Jaffna would probably be dead. Singapore practice "Winning at All Cost"
Recently, I've started playing Pokemon go in Singapore. I believe Singapore is probably the only country where people will pay others to play for them. You know -- because walking is too hard. After playing the game in Japan, Taiwan and the US, the first thing I notice when I am playing the game in Singapore are the hoards of Spoofers. Spoofing is one of the ways to "trick" the GPS of your phone to think that you are walking and it allows you to fly from location to location. This allows you to get to rare Pokemons which spawns in far away places, attack / defend gyms which are far away from you, and of course, take part in the new Raids with rare Pokemons. I guess, Maybe Singapores are more "Kiasu" - Afraid of Losing, or simply want to win at all cost. Talking to some of these people (age ranging from teenagers to uncles and aunties in their 60's) Many of them have multiple accounts and multiple phones to play the game. In the current version of the game, you are supposed to be more social and play the game with a friend which makes raiding a gym a lot easier, but by having multiple phones and accounts, you don't need to be social. With software hacks or "cheats" you don't need to walk to places to capture Pokemon, and all you need to do is to use the "spoofing" software and "fly" to where you want to go. This type of behavior of winning at all cost is very common. It can be seen when parents want to get their kids into a primary school, and will relocate, volunteer and do whatever it takes. However, when I see people behaving like this for a "free to play game" with absolutely no real returns, it just reflects on how many Singaporeans are conditioned to see that everything is scarce. At Supermarkets, I've seen people double bagging everything, including bags of potato chips. YES-- Potato Chips. Just because -- plastic bags are free. When driving, people will speed up when you signal your intention to get into another lane. Others will tailgate closely so that people cannot cut into the lanes. I've seen people driving aggressively and sometimes overtaking dangerously, all during the stop and go traffic during peak hours. Winning at all cost also makes people obsessive about rankings. School rankings, having the best airport, busiest port, etc. seemed very important, and there is often a lot of unnecessary funds spent to be #1. However, after all the money dumped into making it up the rankings, quality of service and productivity is rarely improved. I've seen a lot of money spent on infrastructure in schools, building nice facades and having state of the art equipment, however, quality of education is still the same. Being competitive is good in some ways, but when some are too obsessive just to "win", you often miss the plot. It can be seen by looking at the school rankings and PISA test scores for Singaporeans. If you can measure it, Singapore can easily find it way to the top, however, this does not mean Singaporean students or graduates are better or smarter. Most of the time, it simply means they are better at taking standardized exams. The desire to win at all cost also means putting the pressure on kids, workers and other stakeholders to perform. Singapore's office workers also have one of the lowest productivity in the world. So, how did the best students and PISA scores lead to worst productivity? With one of the highest population density in the world, and one of the highest cost of living, will the attitude of being competitive and constantly comparing with others simply create more stress? It said that more than two young people aged 10 to 19 committed suicide in every month in 2015, and something has got to give. Do you need to win in everything in your life? Do you need to own that car to show your status? Is it important that you live in a Condo?" Will having all of that give you happiness? In the Lee Family dispute, there is one this clear to me. Its not about who is lying, who is incompetent, or who benefits from this. One thing for sure is -- LKY is the big loser. Seems like LKY wants to demolish 38 Oxley Road. There is even a video proof, besides countless other evidences -- even found in the museums. But it seems that since LKY set the precedence of one man rule, created dogs and lackeys by paying them high salaries for obedience, no one in parliament is standing up for his will. It seemed to be clear that LKY does not want to be up in a pedestal, he does not want to be worshiped, and he does not want to have his house kept as a memorial. I respect him for that as he seemed consistent in his drive to make Singapore a better place. Now his son, LHL wants to discuss family matters in parliament, something which wastes a lot of public funds and time, because his son does not want to follow his wishes. I guess, he was a bad parent. The Sungei Road Flea Market has been around before I was born. And I guess I have to speak up as I have had great memories there, shopping for random things and then going to Jalan Besar hawker center to have lunch. In Singapore, I do feel that many things have been destroyed and there is no after thought and simply regrets. Many places I cherish is gone. The old National Library, Victoria Concert Hall, even my primary school building. There are so much memories which brings communities together, and in the name of progress and profits, they are all gone. When a 30 year old house is destroyed, all that remains are the memories. There are often regrets, but such regrets are irreversible. 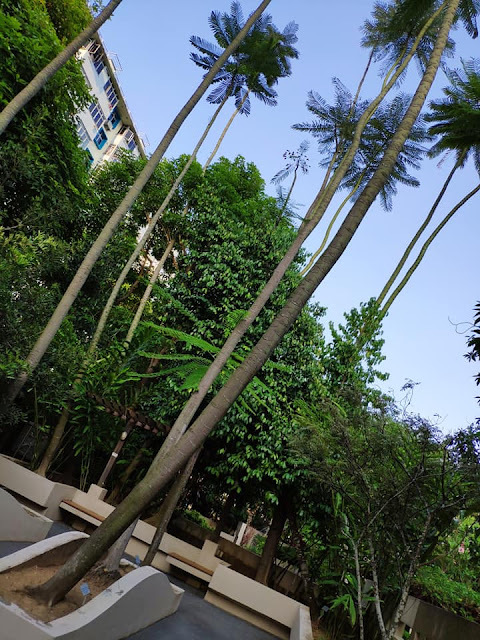 Clearing of the jungles, removing of kampungs, I do believe that some of which have brought progress and improved quality of living, but today, in Singapore, some people may consider it to be already "First world" and I don't understand why heritage is not cherished. 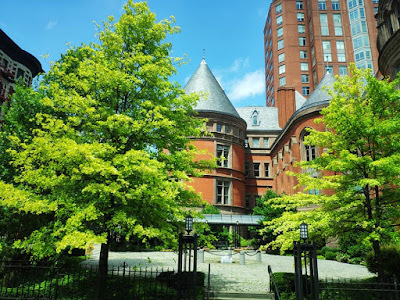 When it comes to the government talking about conservation, even the botanic gardens was once at risk of getting removed and turning possibly into condos and malls as it was sitting on expensive land. Yet 38 Oxley Road -- the home a Lee Kuan Yew -- a private house which LKY himself wants to be demolished and it was put in his will is probably going to be conserved. As Oxley Rd is a highly restricted place, I would say most of Singapore, >99% of everyone have not been to Oxley Rd, let alone see the building. For something that private, there is not much more heritage value more than seeing it in photos at the National Gallery. 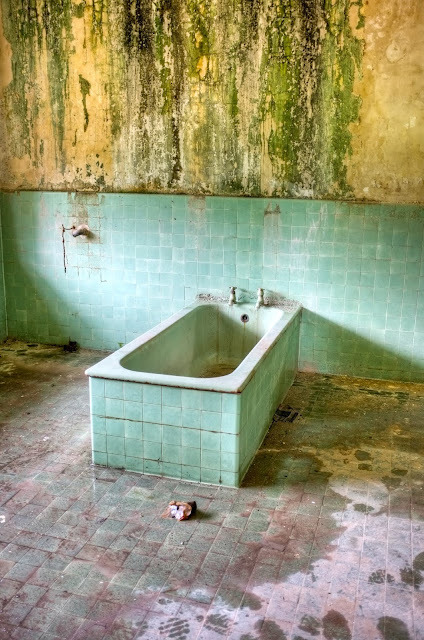 If a person wants his house to be destroyed after his death, his wishes should be followed. Flea Markets play an important role in society. I've been to many flea markets and in Singapore, the Sungei Road Thieves Market is the biggest (and the only) one. I've often saw vintage items which I've not seen before and talked to vendors to learn how to use it. It is very educational to understand how some of these items were used in the past. As a maker, understanding how and why some of the inventions and evolution of technology is very important as it gives a good context to understand how things were before some technology were created. Its also gives a much hands on understanding more than any wikipedia page or books can provide. Of course, the benefit of a flea market that sells used goods is for people to find good deals. When Singapore is pushing the "Green movement", we are told to reduce, reuse and recycle. And the flea market is definitely "reuse" of these old items. I like re-purposing things for parts, and for costumes, the flea market is a great place to buy something, cut it up to fit your needs. It creates a very good way to save money and reduce the waste which we see too often in society today, the whole idea that most things are disposable. For many people who lost their jobs and cannot find jobs, selling some of their possessions of useful things they find is a good way of making a living instead of begging. Some of the carefully curated items are great for bargain hunters. Over time, a community is also formed. The vendors know one another, and some of these old people keep each other company and finding treasure and selling it is a great way to stay active. 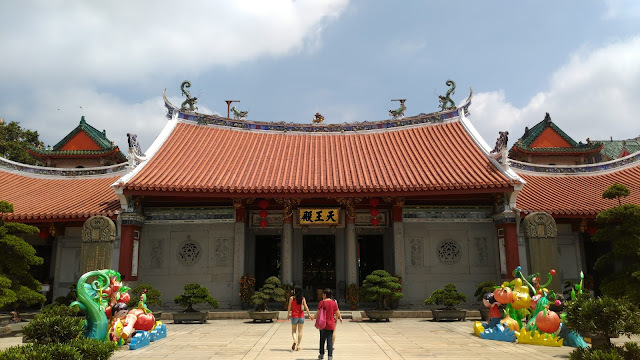 When I go to Sungei Road, I see familiar faces and a strong community there, and it is actually a tourist attraction, something that was organically formed and quite well known to tourists. 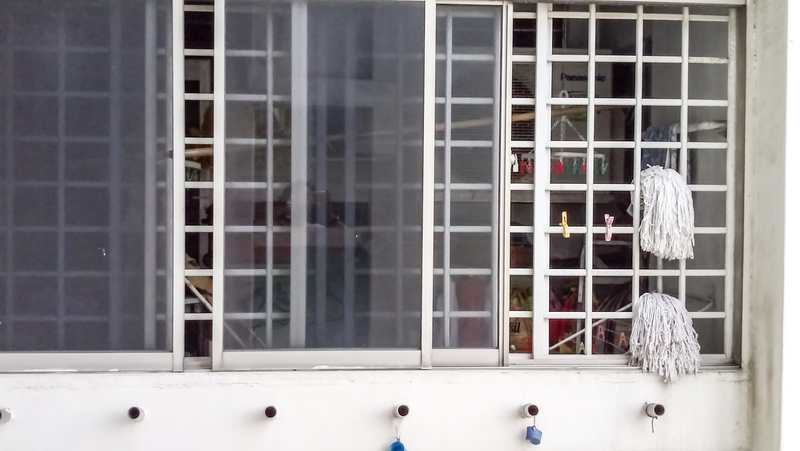 In the US, you do see garage sales, but in Singapore, many things are prohibited, especially putting things on the sidewalk and selling. The only place that it happens is Sungei Road and it is very disappointing that this will go away. I am very disappointed that street food, even many hawker centers have slowly changed to air-conditioned food courts. Everything seemed so artificial and I would argue that these locations have land use as some of the hawker centers and markets are only open half day and the foot traffic is low. A structure built for such activities seemed a lot more wasteful than an open air market. 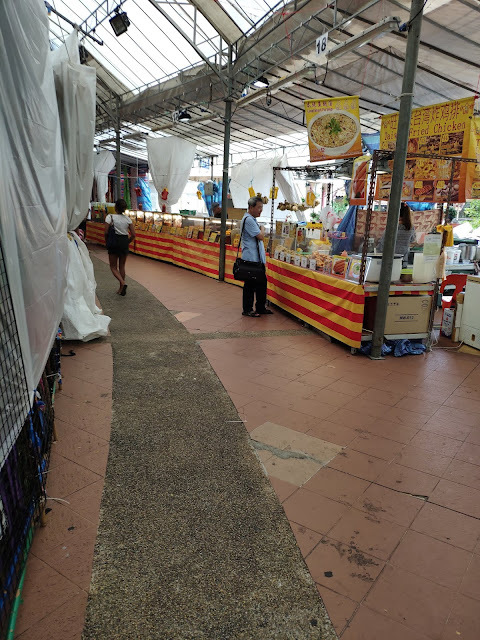 While hygiene may be a concern for food vendors, I would say what we have left -- second hand items at Sungei Road does not share such concerns. Bazaars that pop up from time to time are getting worse as even the rents of these bazaars are creeping up and there are only the few that could afford it, and some of them own cafes and restaurants. I guess when the government does not collect rent, and cannot regulate well, the option that the bureaucracy has trained them is to destroy what they can't control. And with this, it will be a sad loss for our heritage. A harmonious community of people, regardless of race or religion, working hard alongside one another. They bring value to the nation by showing us all that items we consider trash still has value, and can be reused or resold, instead of consigning them to the incinerator and harming the environment. I was having a Mother's day meal with my mom and I realized that my mom was upset. 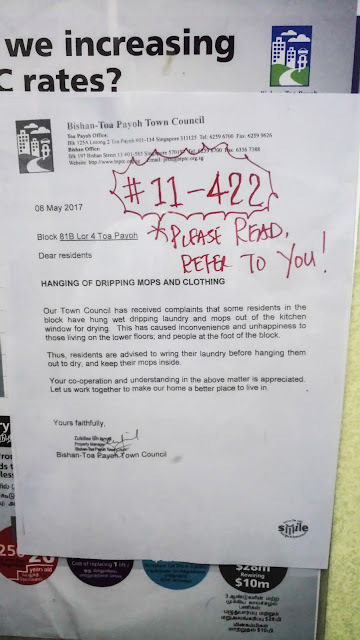 Apparently, the Town Council accused my mom for dripping dirty mop water. Initially I was wondering how did my mom do such a thing. She was in Genting last weekend, and has been traveling quite a bit. And well, I do not mop. No one else in the house mops. I was checking the grills we have by the kitchen window and they were locked. The locks were also rusty and can't be opened. It was in fact quite impossible for us to hang the mop outside or any form of laundry. 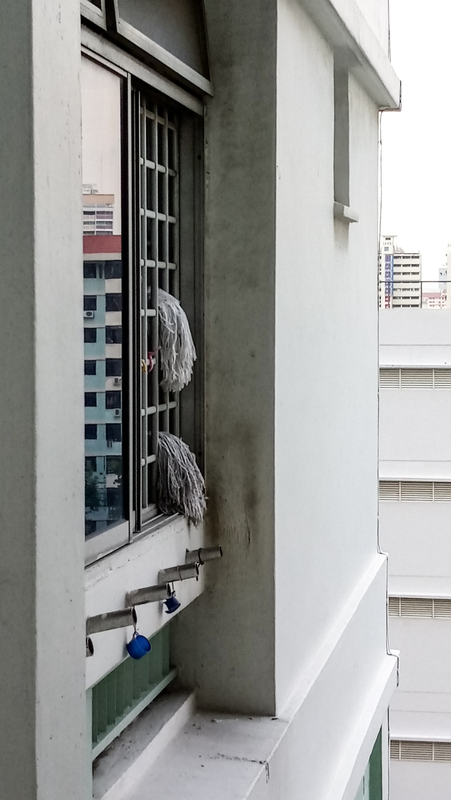 The mops were NEVER hung outside as the window grills cannot be opened. 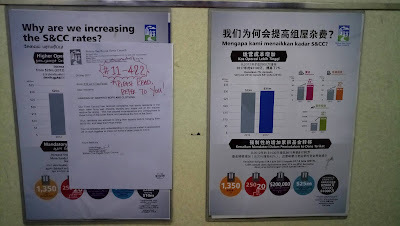 I don't understand why the town council would put our address in all the elevators and notice board around the flat like loan sharks shaming us if we had owed money. Then I recalled. 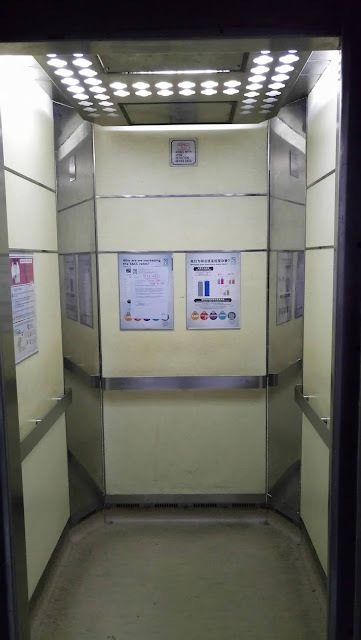 I did complain about the lift not being level, lift doors not closing completely. I highlighted the flaws of the lift to the town council, and perhaps I have given them my address. And is this how they treat whistle blowers? Please let me know. Otherwise, is the Town Council not happy because I reported about the bad and possibly unsafe lifts to them? And I have do not hang my clothes outside as well -- BECAUSE THE GRILLS DO NOT OPEN. 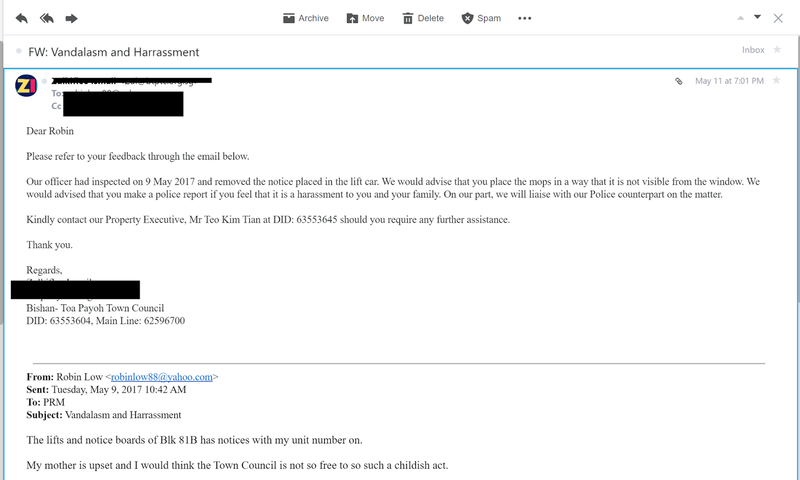 The notices are sent by Town Council. I am not sure if my family was harassed because it was politically motivated or perhaps it was due to me informing them that the lifts have been dangerous as they were not level and the doors don't close properly. I would like to ask if you think such behavior of sticking notices of your unit number for something you could never have done is considered fair? 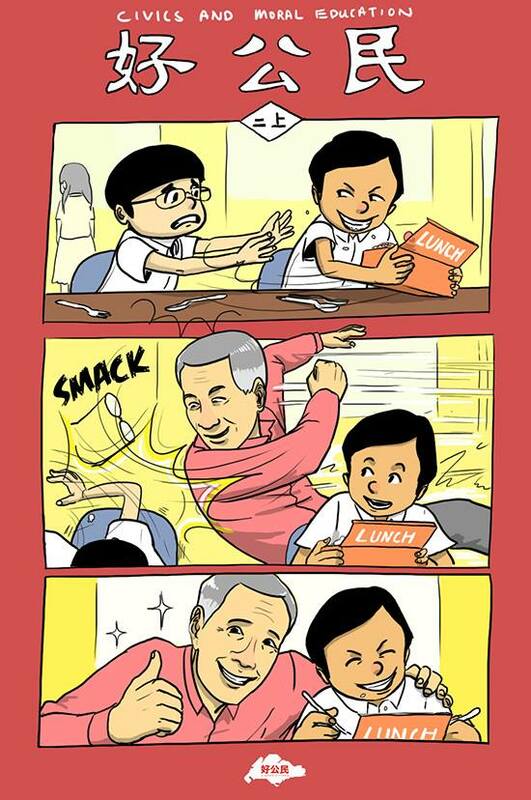 In Singapore, the Prime Minister entourages citizens to "steal other's lunch". This seems to be a rhetoric that he keeps repeating. I guess this can be said about his success. 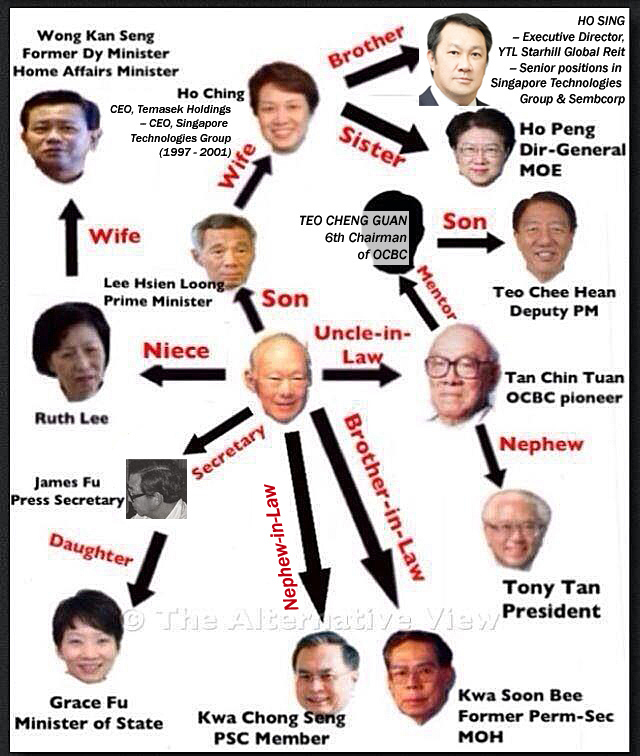 It is of course, his wife Ho Ching that manages Temasek Holdings. And together with him managing GIC, they manage all the sovereign funds. 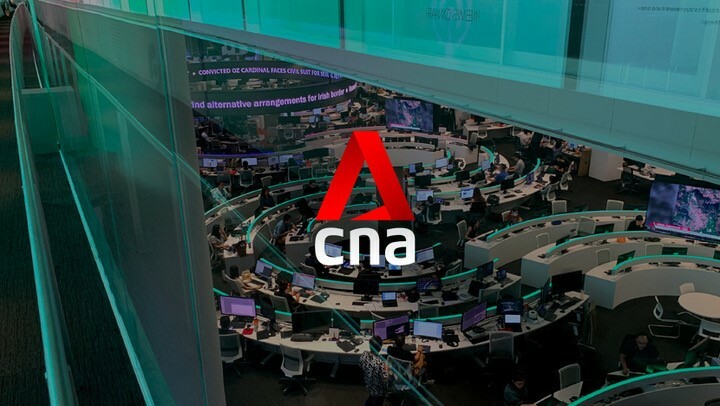 It could be said that the sovereign funds are not managed as well as it should, and they probably over charged, but such behaviors where related parties are placed into important positions and given high salaries is all too common. In the SMRT, the CEO is paid a very high salary, and yet there are no improvements in the train system. Without relevant experience and connections, and accountability, breakdowns are common. On the Crony-capitalism index, Singapore is #5. People in parliament, and high ranking officials in government linked companies are much related. With connected people in high positions, they seem to get away with mediocre performance, and enjoying high salaries. I would say there are a lot of people whom I respect, made their way to the top and became rich, but also many others who are there because of their connections. Many rich families with mediocre second generations get into the family business, and in Asia, by managing properties, get even wealthier and believe they have made it. With their egos inflated, they fail at everything else and then increase rents to cover their outside losses. With enough of these rent seeking families who own most of the properties in the market, they create a non-elastic situation where they can make money off the backs of everyone else. In many countries, such practices are often curbed as it affects social mobility, but in countries where the ruling party controls finance and much of the economy with their friends and families, they can create rules and regulations that favor their friends and families. In the case of a country where the GDP is so high but a lot of people do not have buying power, it is easy to see how some of these cronnies have so much money to enjoy the high life, yet they provide so little value to society. Controlling media, it is easy to make others angry at foreigners for "stealing your lunch" but with lax immigration policies, "low business morality" and paying people below market values, it is easy to sway others away from the fact that "There is much less social mobility than before"
If you are born in those families, you can do nothing and be rich, and if you are outside, you can work till you die and not even afford public housing. Don't get angry at foreigners and think that unskilled labor and semi-skilled cheap programmers can easily come to steal your lunch. Remember, it is the policy makers and their connected friends who own the business that decide to hire these low wage staff and not pay market rate while they keep the profits to themselves and pay little taxes on that. They have been stealing your lunch from the start yet people are often too distracted to realize that they are in for the ride. Most expensive motorcycles in the world. Can the Finance Minister stop meddling with poor people? In his Ivory Tower, the Finance Minister who survived a stroke, decided that to lower the cost of small motorcycles, he need to increase the tax for all motorcycles. I don't think increasing price will ever lower cost. Perhaps, when they increase prices for public transportation, it made buses and MRTs more affordable? Well, there is the COE. See, in Singapore, you have to pay to buy a piece of virtual paper before you can own a motorcycle for 10 years. This paper now cost $8,081. In the past (like 2015) A Harley Streetglide would cost $45,000. And Today, the same motorcycle (the 2017 model) costs $65,000. That is a hefty 25% - 30% increase. Sadly, for smaller motorcycles. The situation is much worse. In 2010, My friend bought a Spark 135 for about $5,000. And Today, the same motorcycle cost over $12,000. That is more than 100% increase. Sadly, this increase does not only affect riders. Many dispatch riders that deliver mail, packages and your food use these motorcycles, and it will eventually end up driving costs up and affecting all consumers. Motorcycles is a necessity. There is no such thing as a "Luxury motorcycle" In Singapore, it rains almost every day. No matter how luxury, you endure the rain, sun and exhausts fumes. There are also many bad drivers that make it dangerous as well. 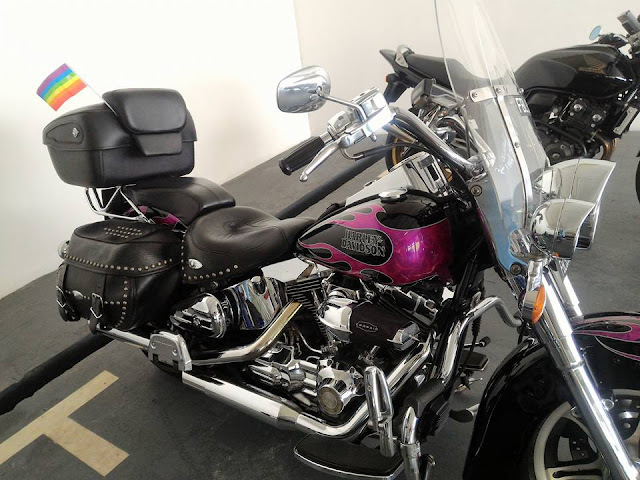 Many people who own motorcycles -- even the big ones -- own it more for a hobby, riding to Malaysia for touring. And they do not use it everyday. So why TAX THEM MORE? The cooling measure clearly failed, and cause motorcycle cost to increase. The basic principle of supply and demand plays a role. With the COE choked, the number of motorcycles is shrinking and when the Tax is increase, most people will not buy a new motorcycle, and decide to repair their 10 year old motorcycle and renew COE. This cause the available COE to be reduced, and hence price goes up. The SG Budget should help Singaporeans but I start to wonder why driving cost up in the most expensive city in the world actually helps the people living there? Sure many people are concerned about the 30% increase in water price, but as you do your online shipping, guess who delivers some of your food and goods. Its on Vans and Motorcycles, and be prepared that the charges for delivery to be increased again.